By Default the entered by (by) and about (About) columns always appear. 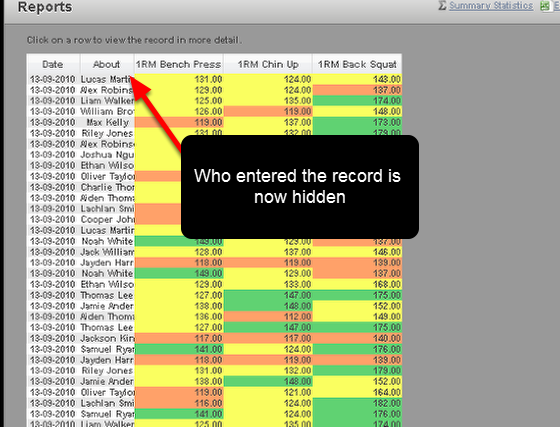 To run a report and hide the "by" column (who entered the record on the system) go to the View Fields (bottom left of the page) and deselect "Include Who Entered Record?" Please note that if you think the "About" column is too narrow for the list of user you are looking at, you can e-mail you site Builder (the person who developed your system) and ask them to increase the width of this column. 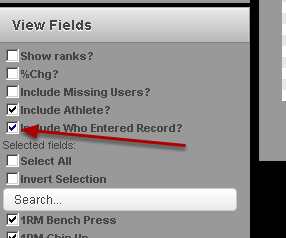 Ensure there is no tick beside the "Include Athlete?" 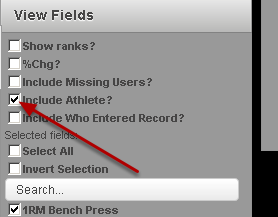 text and click on run report. An anonymous report will be generated. 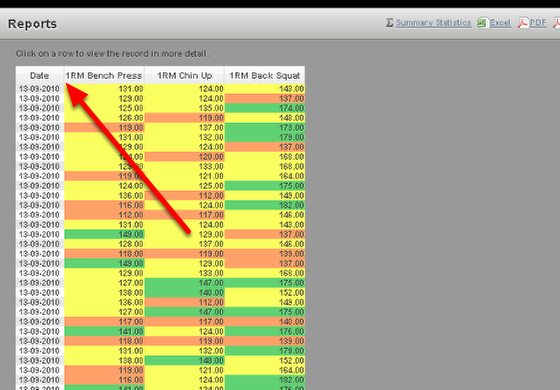 Once you have run the report you can then save it, or export the data to a .csv file. See the next lesson called Report Options: Save, Delete, Export, PDF, Investigate, Summary Statistics to find out more.